I'm back and better than ever! I'm now running Windows 7 which has been everything I hoped it would be, mostly the fact that it is not Vista. As a plus, I know have a working version of Photoshop, so unless I run into any more snafus in the coming days I'll be back into my usual three comics a week schedule. 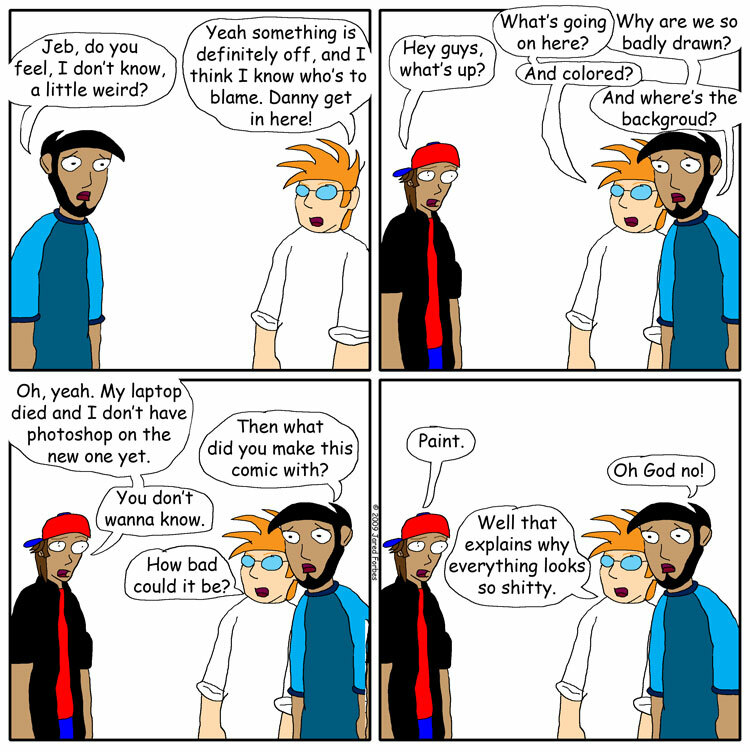 While I did say I have a working version of Photoshop again, the following comic wasn't made in Photoshop. You'll see why.